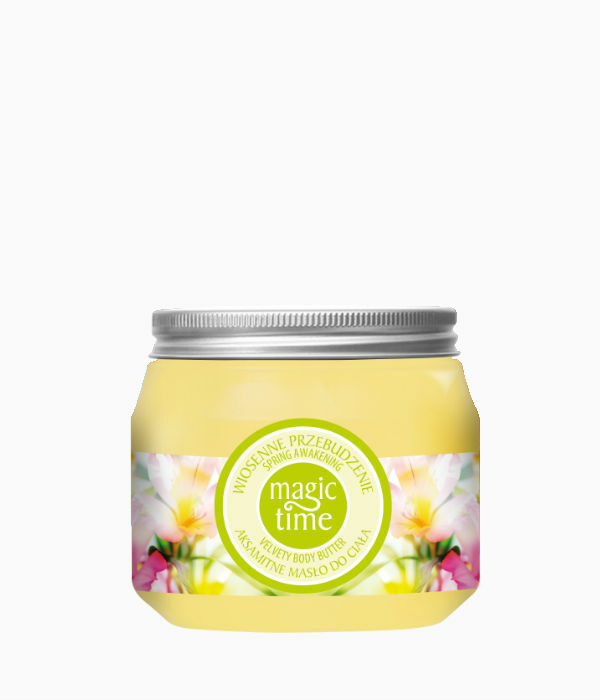 Velvety body butter with macadamia oil gives the skin wonderful softness and smoothness. Regenerates, intensely nourishes and moisturizes the skin. Refreshing scent provides energy and ensures excellent mood. Glyceryl Stearate, Cetearyl Alcohol, Ceteareth-20, Macadamia Ternifolia Seed Oil, Dimethicone, Paraffin, C10-C18 Triglyceride, Cera Alba, Stearic Acid, Propylene Glycol, Camellia Sinensis (Green Tea) Leaf Extract, Cyclopentasiloxane, Cyclohexasiloxane, Sodium Acrylate/Sodium Acryloyldimethyltaurate Copolymer, Isohexadecane, Polysorbate 80, Phenoxyethanol, Ethylhexylglycerin, Xanthan Gum, Parfum (Fragrance), Disodium EDTA, 2-Bromo-2-Nitropropane-1,3 Diol, BHA, Citral, Geraniol, Hexyl Cinnamal, Limonene, Linalool, CI 19140.